Arguably the best season since HOMELAND’s first, season four put everyone on edge, with its gripping suspense, engaging and terrifying action sequences and very powerful character stories being told alongside. It was a phenomenal season that brought back the brilliance that made it such an extraordinary series when it began. Brilliant writing, excellent character development and a very fresh premise came together to form GRACE AND FRANKI—a highly underrated show. 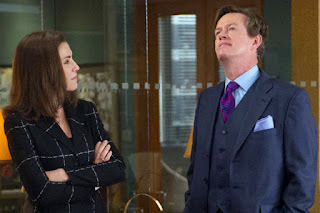 With witty dialogue and rich characters and a very comfortable and effective narrative, there is probably nothing in the show that I could find faulty. 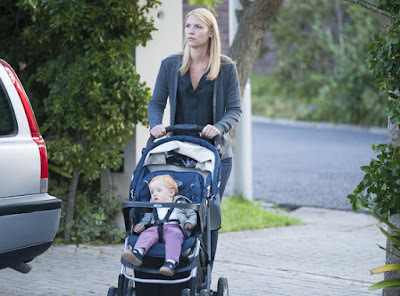 As the drone queen and the seductress, who will go to any lengths to complete a mission, Claire Danes brought out the very best of her performing abilities through a fantastic fourth season of HOMELAND. 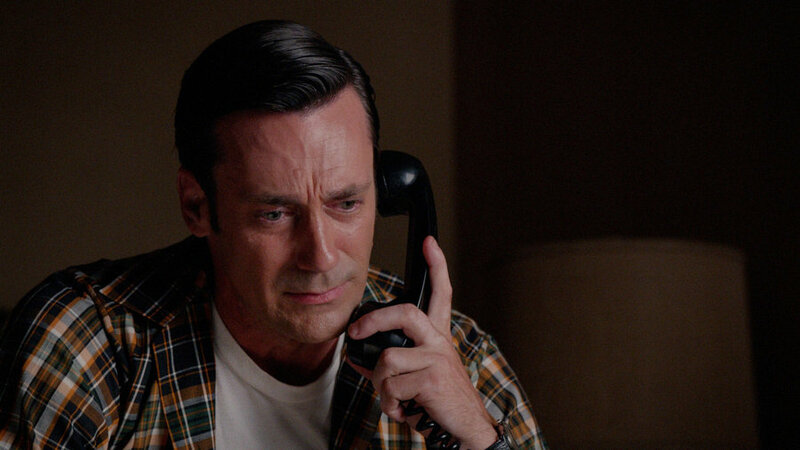 Jon Hamm was consistently good on MAD MEN. But especially during the last few episodes, as Don Draper searches for himself, and looks beyond what his profession or his agency’s takeover, Hamm brings out a certain vulnerability in Don like we haven’t seen before. Lisa Kudrow was perfect as the endearing, yet annoying Valerie Cherish. Her dealing with not being able to catch a break, and then making things work with her old showrunner, and finally getting the recognition she craved was all brought to life really well, and she stayed true to the character’s growth over time between the two seasons. 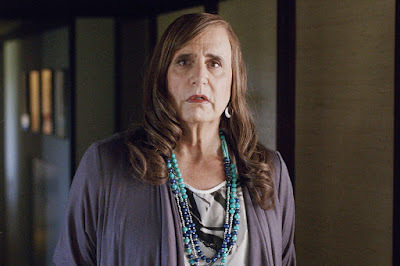 Bringing a very realistic level of comfort to his cross-dressing character was Jeffrey Tambor, who took on the transgender role and gave it just the right amount for perfect impact. 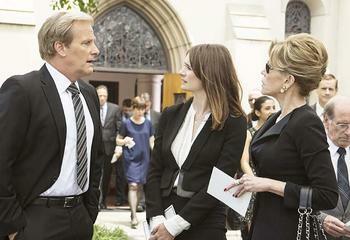 Hendricks was brilliant when her character is dealing with the sexism at McCann, after the takeover. The restraint in physical acting, coupled with her intense eyes conveyed volumes about her frustration. Taking that forward was her work through the collapse of Joan’s relationship, because of wanting to make a go of a solo career. 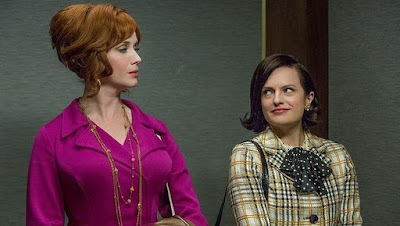 Christina Hendricks was one of the best things about the last few episodes of MAD MEN. 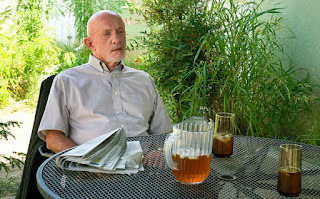 Nuance and intensity could not have been put together with more impact than Jonathan Banks did on BETTER CALL SAUL season one, especially when we learn about his past and discover his relationship with his daughter-in-law and granddaughter. Allison Janney is the life of MOM. Her chemistry with all her costars is exceptional, and she does an extraordinary job of playing Bonnie. 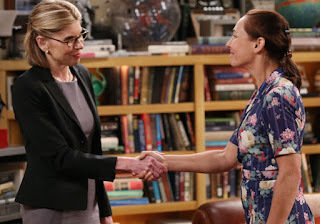 In season two especially, from being the building’s super to dealing with loss in weird ways, and stealing from a funeral, Janney did a marvelous job with her character. 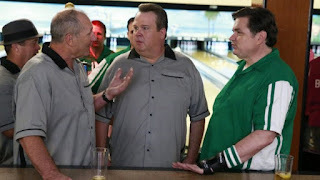 As Cameron coaches the football team, and dotes on his new husband, and tries to sing ‘Memories’ from Cats, Eric Stonestreet’s performance in the last season of MODERN FAMILY was especially good, even outdoing his work in previous seasons. 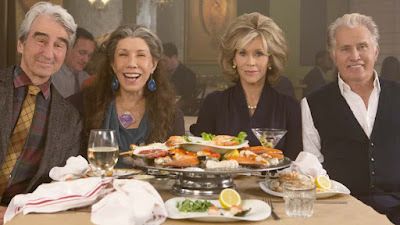 Jane Fonda was excellent in the final season of THE NEWSROOM, as the woman in-charge, who was trying to save the network and be there for her people, especially in the series finale. Dylan Baker was exceptional on THE GOOD WIFE season 6, especially because of how effectively he tackled the double role—of Colin Sweeny as well as the actor who is supposedly playing a character based on Sweney. Christine Baranski was spectacular as Leonard’s mother in the last season of THE BIG BANG THEORY. Her emotionally stingy character’s indifference could not have been portrayed better. Hugh Laurie is a good actor, whether he does drama or comedy, as he steps into characters well. 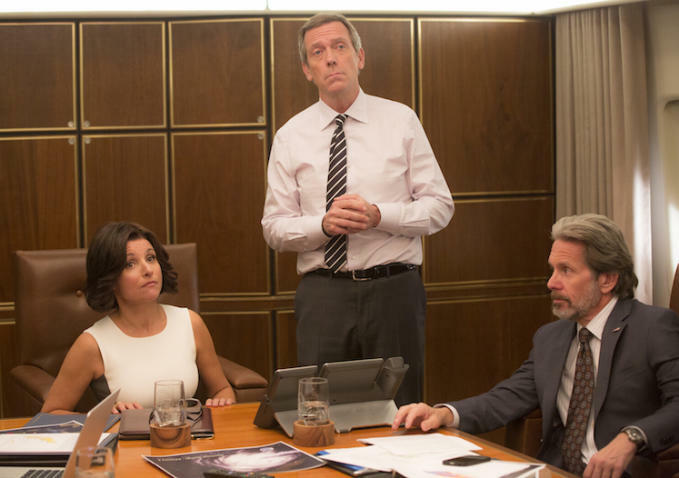 On VEEP, his portrayal of Selina Meyer’s vice presidential candidate was smart, genuine and impactful. Yet, his delivery was well moderated. 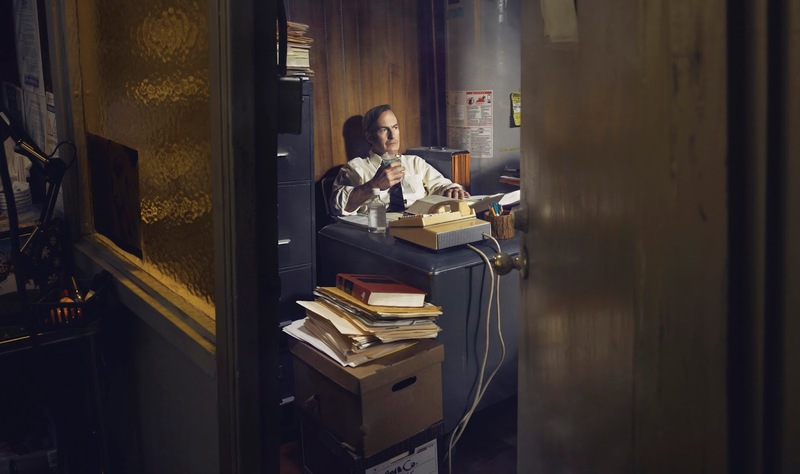 The narrative structure of BETTER CALL SAUL, with the storytelling taking into consideration various perspectives, and the effective portrayal of different times in the chronological timeline of the story was brilliant. 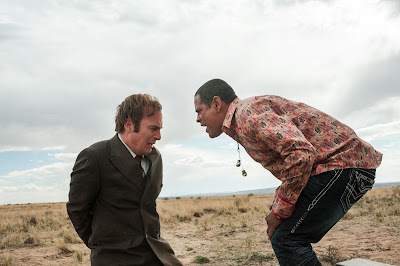 The characters were developed as complete individuals, even for a viewer who may have not watched BREAKING BAD, making it quite commendable. The camerawork and the usage of foreground and background, to effectively create a mood was exemplary in BETTER CALL SAUL. Visually rich from the very first scene onwards, the cinematography essentially was the voice of even the quiet moments of the show. 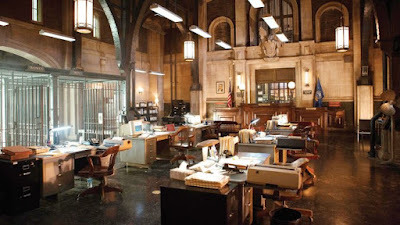 The production design and art direction team of GOTHAM did a fantastic job of modifying New York City to look like the fictional Gotham City. From the post-production on the skylines and rooftops, to the creation of the GCPD precinct and Barbara’s gorgeous penthouse, to Fish Mooney’s bar and the dungeon she was kept in—everything perfectly created a world for the stories of GOTHAM to take place in. MAD MEN beautifully reflected the turn of the decade, as the ’60s were ending, through the costumes in the last few episodes of the series. From Peggy’s bolder colors and patterns to Joan’s more sophisticated look, and even the clothes worn by Sally, and the men, every outfit was thoughtfully put together and represented the characters well. 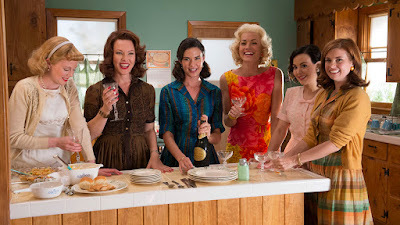 Spanning several years of the lives of the women in THE ASTRONAUT WIVES CLUB, as their husbands explore outer space, the show reflected the passage of time rather well with changing hairstyles and make-up. The variation in the look of each character, while maintaining the essence of their style, was quite impressive. HOMELAND’s score in the fourth season was extraordinary, perfectly complementing the rising dramatic tension in those nail-biting moments. Yet, music was used with economy. It was never over-used or over-the-top. EMPIRE had to win this one, because of the amazing music, and the choice of songs in every situation. 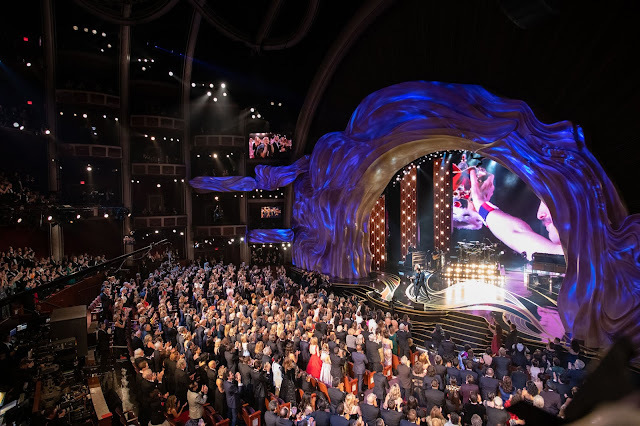 From ‘You’re So Beautiful’ to ‘Drip Drop’, every song and performance essentially reflects the characters and forms a big part of representing the world of EMPIRE. Just the concept of GRACE AND FRANKIE’s opening credits is incredibly effective. It’s simple, yet fresh, and very nicely executed with the animation, the editing and the music track.